Eighteen women representing 13 nationalities will be making history by racing in the first ever all-female single-seater racing series - The W Series. Four more drivers have been nominated as reserves. South African racer Tasmin Pepper will compete in the inaugural race of the historic motorsport competition. 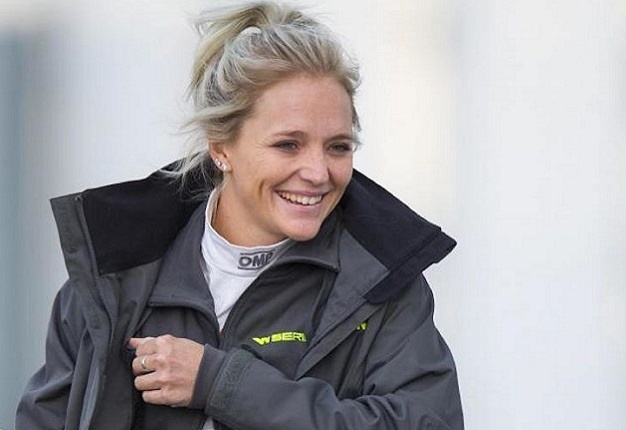 Following her selection as one of the 18 drivers set to compete, Pepper's first official event back home is as a presenter for the AutoTrader SA Car of the Year. After four days of on-track action, during which the 28 drivers vying for a place on the W Series grid completed 3000 laps of the Circuito de Almeria, the final line-up has been announced. By Wednesday morning, W Series Racing Director, Dave Ryan, was confident he had seen enough to rubber-stamp the first 12 drivers to go through to race, which meant that W Series CEO, Catherine Bond Muir, could communicate the good news to them. That allowed Ryan to allocate extra time on the 4.2km track to the remaining drivers so that they could show improvements to their handling of the W Series Tatuus F-318 Formula 3 car. Dave was then able to make the final selection, which was announced to the drivers by David Coulthard, W Series Advisory Board Chairman. Catherine Bond Muir, W Series CEO said: "After four intensive days’ testing in Almeria, finishing yesterday, and four equally rigorous days’ trials in Melk in January, as you can imagine we'd amassed a huge amount of data. So our judges, led by Dave Ryan, then crunched that data in order to determine who would be the 18 drivers to contest the first ever single-seater racing series for female drivers: W Series. A historic moment for #WSeries as the first group of qualifiers take to the track for the very first time in our race cars. ?? "To those drivers who didn’t make it through, I offer my commiserations, of course, but I also say ‘well done’. "All our drivers worked diligently, studied hard, and drove well, including those who didn’t make it through. "To the 18 drivers who did make it through, I say ‘big congrats and very well done’. "But I also want to mention our four reserve drivers, who didn't quite make the final 18 but all impressed our judges. They’ll be disappointed, inevitably, but they’re still part of the W Series family. "So that’s it then. Our driver selection programme is complete. Let’s go racing!" David Coulthard, W Series Advisory Board Chairman, said: "This has been a more difficult selection process than we ever could have dreamt of in terms of how close it has been across the field. The rate of learning has been really impressive to see, and that’s absolutely what we need to see in those who have relatively little experience in single-seaters, but have got natural speed. "The emotion attached to it has got nothing whatever to do with whether they’re male or female. "It’s just that, having had the pleasure of being a professional driver, I know how privileged that is, and I sincerely want all of them who have gone through this process to have professional racing careers at whatever level their talent will allow them to go to. This represents today one big step closer to them realising that dream, and I think everyone at W Series can be proud of their contribution to putting these racers on track, who just happen to be women." Dave Ryan, W Series Racing Director said: "We’re at the end of the driver selection process and it’s been tough on a few of the women, but to be honest the ones that have gone through have done a really good job over the four days in Almeria. "That’s the end of one part and the start of another. We’re all happy, although obviously a couple of the women are disappointed, but that’s sadly how it is and they have just got to keep trying.